It was once thought that facial aging was simply due to the relentless downward pull of gravity (luckily, we tend to die before we are wearing our face like a necklace; no one ever got to verify this theory by seeing just how far a face could “melt”). Yet modern science has shown us a more complex truth where aging is actually a combined effect of changes in all of the structural components of the body. As we age, the skin becomes thinner and less elastic; the muscles and tissues sag, become weaker and separate somewhat from the skin; and fat gets reabsorbed into the body, leaving all those “stringy bits” showing through. Even the bones change in tiny ways which lead to less support for soft tissues which just keep heading south. Short of going for a full-on “under the knife” procedure, some opt for non-surgical approaches such as subdermal tissue coagulation with radio frequencies, ultrasound therapy or waveform technology. Others opt for neurotoxin treatment (you know, like that popular brand that’s now synonymous with a fear of aging). I don’t know about you, but if I had to undergo eight to 12 injections and still risk possible side effects like paralysis, weakness, difficulty swallowing or an asymmetrical face, I’d be looking for a different option. Personally then, I favor the preventative approach which addresses the root cause, instead of creating superficial changes. I’m talking about keeping your face and neck muscles in shape, just like you do with the rest of your body. It’s a radical idea, one which most of us have likely never thought of. Read on to discover how you can use exercises and other DIY treatments to create the effect of a neck lift naturally. Why does the neck sag? As women get older, neck sagging is caused by thinning muscles. Before we go into the treatments, it’s helpful to understand why this problem occurs in the first place. The appearance of a sagging neck is primarily due to changes in a muscle called the platysma, which surrounds the neck like a sheet, connecting down into the shoulders and up into the jaw. With age, the muscle thins and separates, leaving space for fatty tissues to move forward and cause “turkey neck.” The edges of the muscle also draw up, making those cords down the sides of the neck more visible. Although these unsightly changes are inevitable if you just let time run its course, the good news is, you can take action to prevent them. Just like any other part of your body, the skin and muscle of your neck will respond if you take care of it properly. Let’s dive into some techniques you can use to keep your neck looking youthful and firm. Here are some specially-designed movements which activate those under-used neck muscles and bring them back into shape. Look straight ahead, then tilt your chin slightly downward. Bring your chin over toward your left shoulder. Stay looking in this direction as you lift the chin toward the sky. Lift as high as you can, then hold for 5 counts as you continue to breathe. Bring the chin down, and repeat on the right side. Do five reps on each side. Engaging your neck muscles with exercise may prevent sagging. 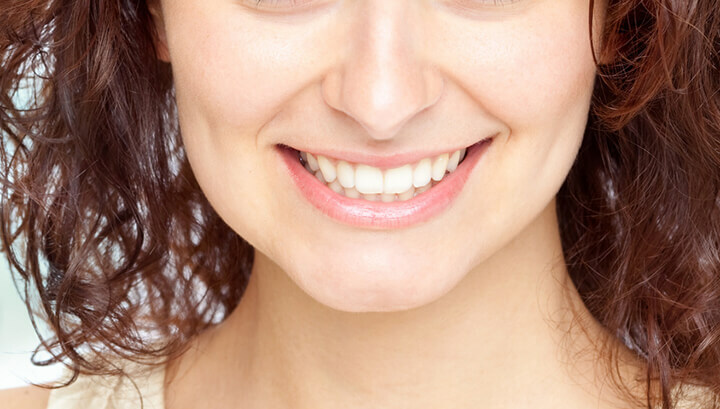 Engage your neck muscles, keep your lips lightly together, and slowly begin to smile. Do the smile in six stages, going from a small smirk to a big exaggerated grin. Then return to neutral in six stages. Repeat 5 times. Sit on a chair and slowly tilt your head back until you’re looking at the ceiling. Bring your tongue to the roof of your mouth – you’ll feel the muscles under your chin engage. Keeping your tongue pressing up, lower your chin to your chest and release. Do twenty repetitions. Now you’ve got your exercise routine down, but there are other actions you can take if you’re really committed to getting a nice natural neck lift. Use these complementary treatments alongside the toning exercises to support the health of skin and tissue. A facial roller can improve neck circulation. Use a small, soft natural bristle brush to gently stimulate the skin of your face and neck after cleansing and before moisturizing. This encourages the circulation and drainage of lymph fluid, and supports the regeneration of the skin’s natural elastic collagen network. 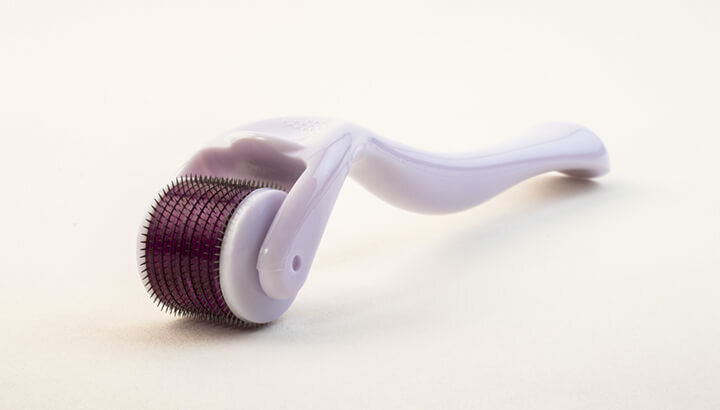 Another option to create a similar effect is a facial roller, which is like a mini textured paint roller that, when rolled over the skin, stimulates the tissue similarly to a dry brush. Treat a dry neck with apricot kernel oil. The skin and tissues of the neck contain fewer oil glands than the face, thus why neck skin often gets that dreaded dry, papery look. Treating your skin frequently with a luxurious oily moisturizer of your choice is a great way to combat this. 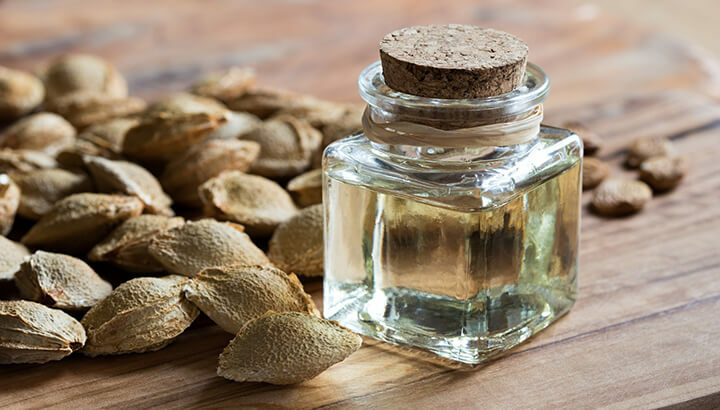 We like nourishing oils such as apricot kernel or tamanu. Once you’ve applied the oil, you can go another step by adding a simple massage. Tilt your head slightly to the left and back, and use the fingers of your left hand to gently stroke down the muscles on the right front of your neck. Repeat several times, then go to the other side. Anti-aging foods, like citrus fruits, may slow the aging process. Finally, we would be remiss if we didn’t talk about anti-aging nutrition! Certainly, a clean diet and smart supplementation can go a long way toward preventing and even reversing droopy skin. For example, a 2014 study showed that supplementation with collagen peptides caused significant increases in procollagen type I and elastin, two constituents of supple youthful skin. And what about food? 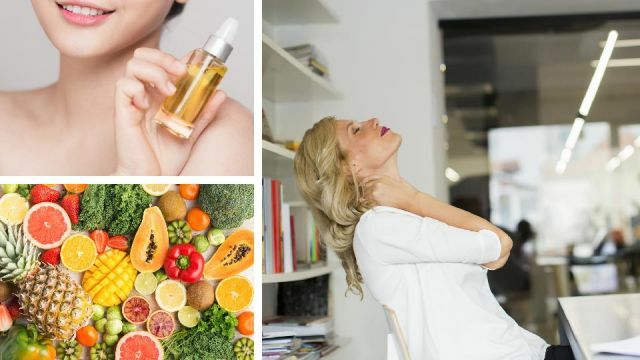 Research indicates that including lots of foods rich in vitamin C, vitamin E, carotenoids, vitamin D, antioxidants and pre- and probiotics is a sure way to keep your neck looking youthful. For a start, try eating more fruits, vegetables and whole nutrient-dense foods, such as citrus fruits, olive oil, carrots, onions, green tea and kefir. On the flip side, sugar consumption has been linked with accelerated skin aging, so cut down on processed and sweetened foods and start reading those ingredients to prevent sneaky sugar getting into your diet. So, with a little bit of effort and just a few minutes of exercises done consistently, you can achieve amazing results that are entirely natural with no surgery or risky interventions. Check out this article for more anti-aging ideas. 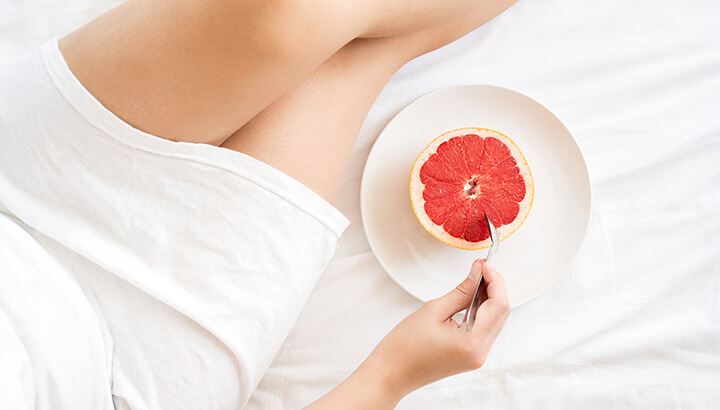 Previous articleThis Doctor Just Answered Your Weight Loss Dilemma: Graze All Day Or Eat 3 Meals? Hey Buddy!, I found this information for you: "Neck Yoga? 7 Ways To Get A Natural Neck Lift". Here is the website link: https://www.thealternativedaily.com/7-ways-to-get-a-natural-neck-lift/. Thank you.